When both men and women think of powerful female movie characters – they often think of Trinity. It’s rare for typical Hollywood-written characters to hold a candle to her strong, stoic but tender persona. Fierce, loving and full of heart. In real life, the Canadian actress is a tenacious, watchful mom who is careful not to expose her children to addictive smartphone use and other webs of the entrapping matrix. She explains the proliferation of “text relationships” and how when she is on her phone engaging in text relationships, she is not fully present with her children. 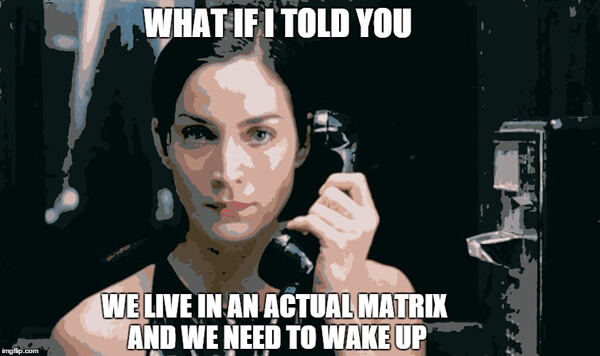 Watch her explain the similarities of the Matrix movies to the fabricated matrix we actually live in, just fifteen years after the film series. See quotes below. Moss thinks about the movie continually in terms of the world we are living in today. I walk down the street sometimes and I literally think I am in the matrix as everyone’s on their phone and we’re all looking down and we’re all kind of not interacting with each other. She then makes a disturbingly apt metaphor comparing the baby pods “charging” up the computers in the beginning of the movie to a world of children charging up smart technology only to not be there at all. “We’re all living our own little solitary lives,” she says. “Let’s talk to each other – let’s get real.” While talking about navigating the world of parenting she puts aside the obvious threats of technology such as predators and brings up addiction saying, “I’m addicted to my phone…we’re giving them to babies.” She didn’t, but notices that people don’t even think twice about it and says it’s something we need to think through – we don’t know the future implications of screen-addiction. We have to be awake, we have to be awake here and … protect them from being lulled to sleep by this idea that they are connected when they are totally not connected. Access isn’t the same as connection, she notes. She’s passionate about the subject. 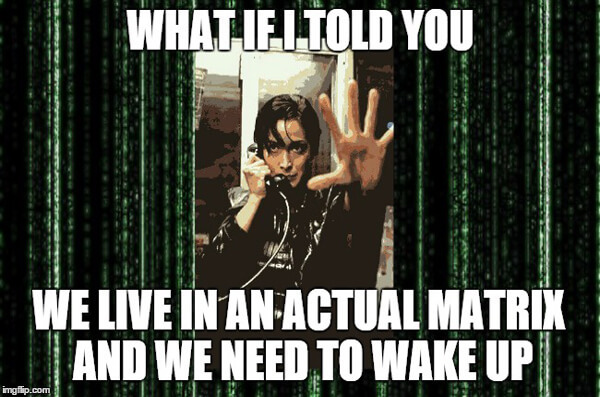 Life in the “matrix” can seem like a drain if you don’t look up every now and then and pay attention to what matters – your heart connections. If you want to hear the extended version where she talks about her recent work, click here. This article is republished from Natural Blaze.com by Heather Callaghan, an independent researcher, natural health blogger and food freedom activist.